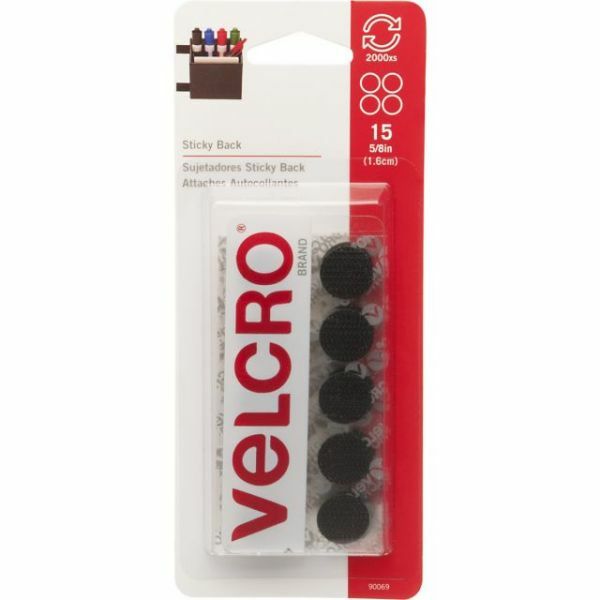 VELCRO(R) Brand STICKY BACK Coins 5/8" 15/Pkg - VELCRO(R) BRAND-Sticky Back Coins. 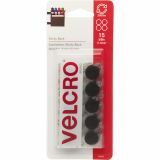 These self-adhesive coins are perfect for small to medium sized projects and will adhere to any smooth surface. This package contains fifteen 5/8 inch diameter black hook-and-loop coins. Imported.